Sweden’s Eurovision Mr “Popular” – Eric Saade – is set to become a teacher. 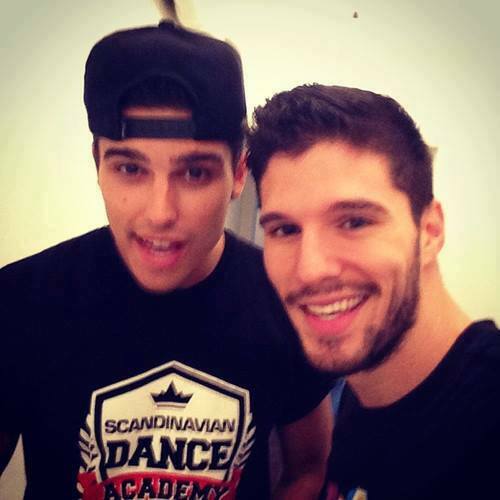 It has been confirmed that Eric Saade is now one of the principle owners/partners of The Scandinavian Dance Academy in Stockholm. He has already adopted a very hands approach to the Academy and has mentored students (of all ages) at the School’s open days recently. Though not partners of the Academy – other Melodifestivalen singers – have performed at the School, like that of Anton Ewald. So if you fancy reenacting a Eurovision dance routine, The “Dirty Dancing” lift or “Flashdance” – you could have Eric Saade as your teacher.